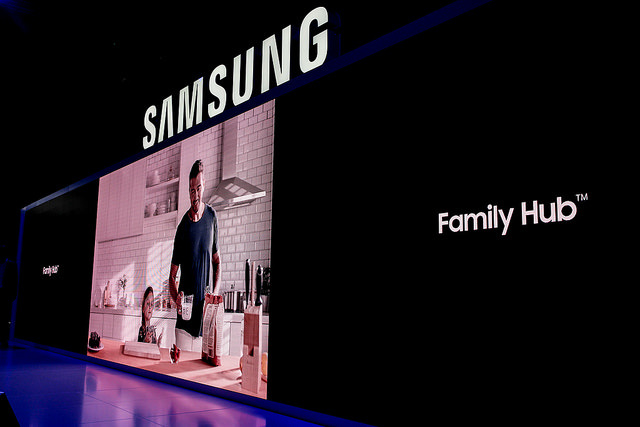 Samsung Electronics Co., Ltd. used its IFA 2016 press conference in Berlin to demonstrate how it is redefining the consumer experience, showcasing a range of new products and partnerships for the home appliance, visual display and home entertainment markets. 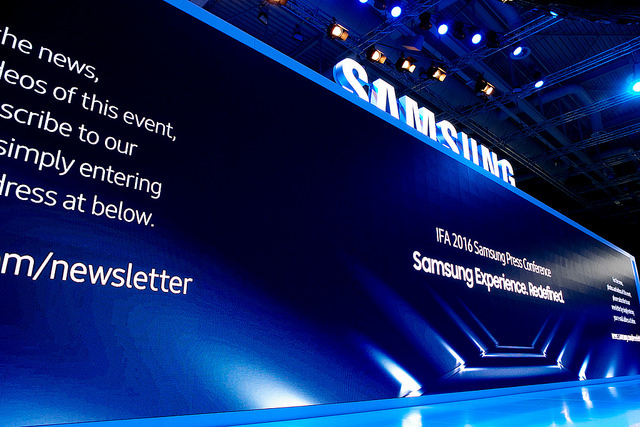 “At IFA 2016, we want to show delegates how we are continually striving to revolutionise the Samsung experience for all our customers and partners - and across all our product lines, from television and home audio to home appliances. Everything Samsung creates is borne out of our determination to enrich peoples’ daily lives with innovative technology, based on a deep understanding of what consumers really want and need,” said Matthew Thackrah, Deputy Managing Director at Samsung South Africa. During the press conference, held in the CityCube at Messe Berlin, Samsung reiterated its commitment to Europe, employing 14 000 people in 34 countries. Samsung’s products are infused with European flair, fashion, design and the finest traditions of manufacturing excellence. With Q2 revenue up five percent year on year, seven out of 10 European households, owning a Samsung mobile phone, as well as one in three families watching their favorite shows and films on Samsung TVs, the company believes now is the right time to invest even further in Europe’s potential. In keeping with this commitment, Samsung announced a new partnership with MakerBot, the global leader in 3D printing, which will equip schools, colleges and museums in five European markets with 3D printers, as well as train teachers and students alike in the use of the technology. With more than 100 000 MakerBot printers around the world, it represents the world’s largest 3D printing community and an incredibly powerful tool inside the classroom. Samsung said that, as part of the European Commission’s Grand Coalition for Digital Jobs, it is on track to deliver its pledge to support 400 000 young people by the end of 2016 - three years earlier than expected. “Samsung’s investment to Europe is mirrored by its expanding footprint in Africa, with the company strongly focused on creating jobs and developing skills for the future. This is being achieved through its Samsung Academies, Brand Stores, Service Centres and many other local partnerships,” continued Thackrah. Samsung reinforced its focus on Quantum dot display technology at IFA 2016. Samsung revealed its new Quantum dot TV, the 88-inch KS9800, offering the ultimate in picture quality, brilliance and, as with all of Samsung’s SUHD TVs, a display capable of producing up to one billion colours. Samsung now offers the largest range of SUHD TVs in Europe, with 19 available sizes from 43” up to 88”, capitalising on the limitless flexibility of Quantum dot in terms of screen size and definition. Samsung also announced the world’s first curved Quantum dot PC Monitors - the new CF791, with a 34” Ultra Wide QHD screen and the stunning new CFG70, the first curved monitor with a one millisecond moving picture response time and 144 hertz refresh rate for smooth, flawless gaming. Samsung introduced its content platform, Smart Hub and announced the formation of a new premium HDR content partnership that will help realise the full potential of Quantum Dot SUHD TV. This included plans to expand Samsung’s TV Plus service - which has proven so popular in South Korea – to both the United States and Europe. Ever mindful that great television is about amazing content as well as outstanding picture quality, Samsung said it was strengthening its collaborative relationships with global partners, such as Amazon and Netflix. Netflix in particular is expanding its range of HDR content for European customers, with film titles such as Marco Polo, The Do-Over and The Ridiculous Six. European partners including RTVE and Insight TV will also begin to offer HDR content in the second half of 2016. Samsung also showcased the capabilities of the Samsung Smart Remote, which allows users to easily navigate all of their connected devices with one single remote control. The Smart remote is designed to auto-detect any and all external devices connected to the TV, making it simple for consumers to switch between and use them – without having to hunt around for multiple remotes. Lastly, Samsung underlined its position as the leader in European home audio and the number one soundbar manufacturer in the region. On display were products including Samsung’s Wireless Audio 360 line-up and HW-K950 Soundbar featuring Dolby Atmos® audio technology for cinematic, multi-dimensional sound. Combined with its SUHD TV, UHD Blu-ray Player and HDR content ecosystem, such a range makes Samsung the only company capable of providing the complete 4K home entertainment experience. 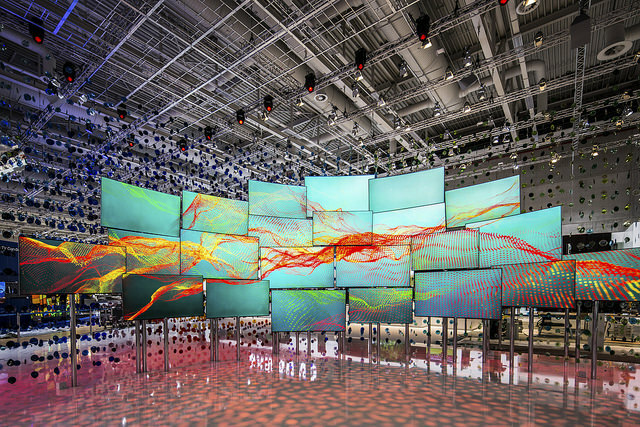 Samsung’s drive to redefine the consumer experience goes well beyond the living room. Over the last three years, Samsung’s home appliance business has grown approximately five times faster than the rest of the industry in Europe. The success of new products such as AddWash, first revealed at IFA 2015, have made Samsung the number one premium washing machine brand in France, Poland, Italy and the UK. At IFA 2016, Samsung announced two new AddWash products - the AddWash Combo, which eliminates the need to purchase a separate dryer and the AddWash Slim, which can fit into a smaller kitchen space without compromising on load size. Following extensive research into what European consumers really want from their kitchen, Samsung introduced three new built-in line-ups, the Contemporary Line with a new built-in refrigerator, the Black Line which uses a semi-matte black that delivers a modern, timeless look and the original Chef Collection. The new true built-in refrigerator unit from the Contemporary Line delivers a seamless fit and flawless, advanced performance thanks to innovative technologies such as No Frost, Twin Cooling PlusTM, Cool Select Zone Plus. In addition, Samsung announced that its sensational Family Hub is coming to Europe. This top-of-the-line refrigerator features Twin Cooling Plus TM technology to maximise food freshness, as well as Precise Chef Cooling TM, which keeps temperature fluctuations within plus or minus 0.5 degrees. Family Hub also features a special ‘Chef Zone TM’, which is ideal for managing temperature-sensitive proteins. It also provides three innerview cameras, which take photos that consumers can access via their mobile devices, enabling them to see what’s inside, wherever they may be. Family Hub also features a 21.5-inch Full HD touchscreen, offering consumers a wide range of functionality. It can serve as the family’s interactive white board for notes, photos, shared calendars and artwork. Content can be uploaded directly via the touchscreen or remotely by mobile phone or tablet. Consumers can use the touch screen and online shopping app to order groceries straight from their kitchen for delivery right to their door. Samsung is partnering with a range of European online grocery shopping portals including premium Italian food provider, Eataly, to other European food delivery services such as Supermercato24 and Switzerland’s coop@home. Family Hub will give European customers a chance to cook with the masters, via the Club des Chefs App. Straight from the Family Hub screen, Club des Chefs offers professional cooking tips through text and video advice. Being able to watch world-class culinary experts at work on the upper half of the screen while being talked through a recipe on the lower half is an excellent example of how Samsung is redefining the kitchen experience. “IFA has always provided a wonderful opportunity for Samsung to showcase its latest technologies, with 2016 being no different. The innovative new offerings on show at this event, both in the TV and large appliance space, indicate that Samsung takes both the present and future of technology extremely seriously. The appliances on display at IFA represent Samsung at its best and offer a window into the amazing technologies that South Africa can expect to experience in the near future,” concluded Thackrah.